What is the secret of the stylish woman? There are two secrets actually. The first is that she knows what suits her and I am not just talking about her colouring or body shape. She also understands how to project her personality through what she wears and create her own personal style. Her second big secret is confidence. The second comes as a result of the first. I’m Maria Sadler, a personal stylist and blogger at Looking Stylish and for the last 25+ years I have helped hundreds of women achieve that first secret and become that stylish woman. Many of my clients have been colour analysed and styled into a box. Being told “you are a pear shaped Autumn with an Ingenue personality. So here is what you should wear?” Hold on a minute, do you want to be a clone? No I didn’t think so! So, I have developed my own methodology of creating beautiful wardrobes for my clients that are unique to them, because they were designed for the unique person they are. I have met so many women who desperately want to have confidence in their appearance and to understand how they can create a wardrobe that they love and that works for them. My clients learn how to enjoy the process of getting dressed, whatever the occasion, because they know they look their absolute best. 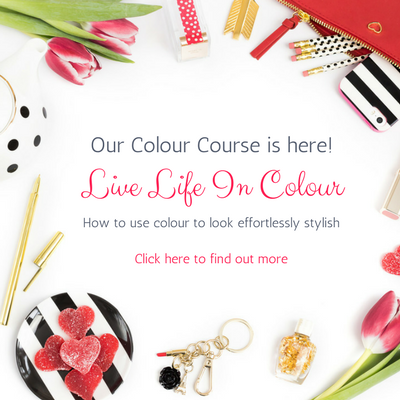 Because my one to one services are always in demand and with waiting lists, I have designed these online courses, so that you can still work with me even if a personal service isn’t possible. You are the reason I created these courses. We all suffer a lack of confidence at some time in our lives, maybe you have hit that time. I want to help “ordinary” women feel extraordinary – because you are! Enrolment is now open for both courses. 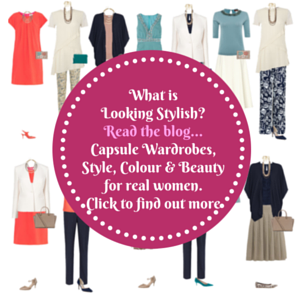 Find out more about Looking Stylish.